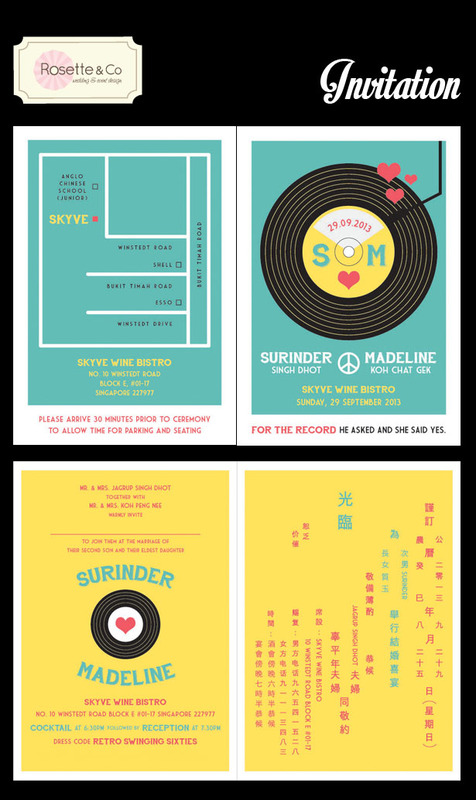 We love all kind of weddings, but once in a while we were given a carte blanche to propose a theme for an untraditional wedding. 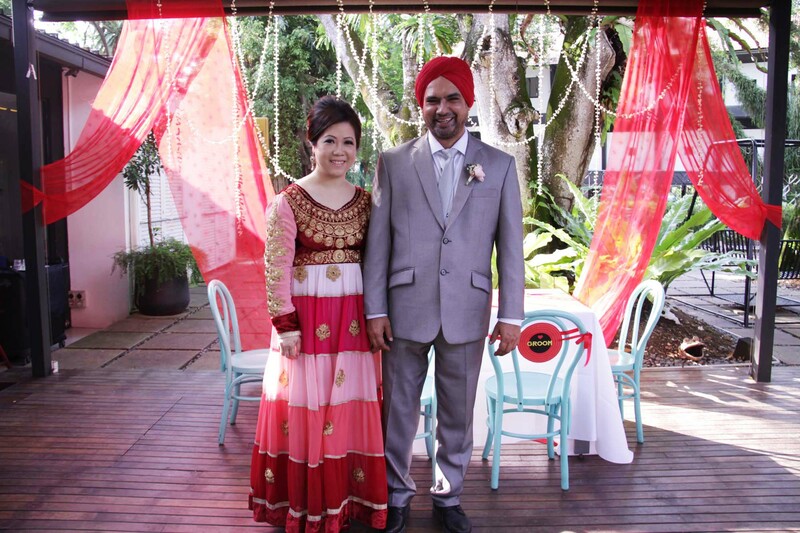 Madeline, a Chinese & Surinder, an Indian, has been friends for awhile and both grew up in the 70s. They share the same passion for music, especially the 60s and 70s. 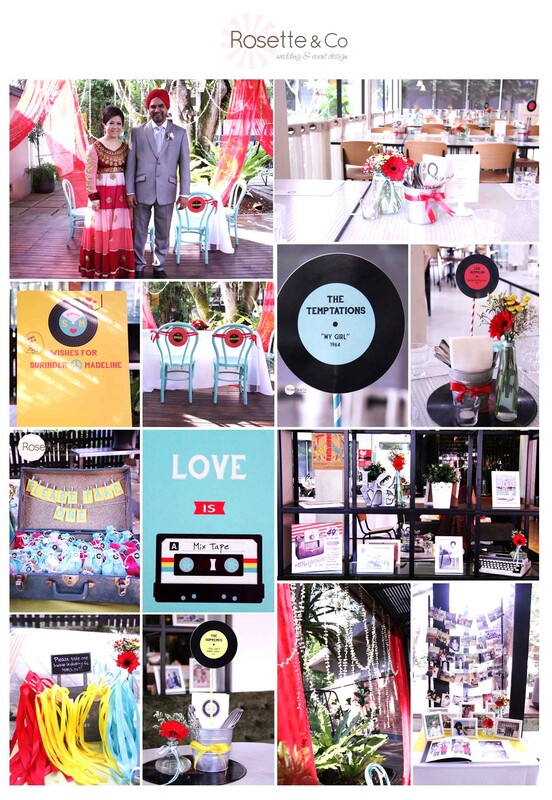 When we listened to their love story, it’s just natural to propose a Indian-musical-retro theme. We managed to find real vinyl records with a reasonable price for all the table setting. 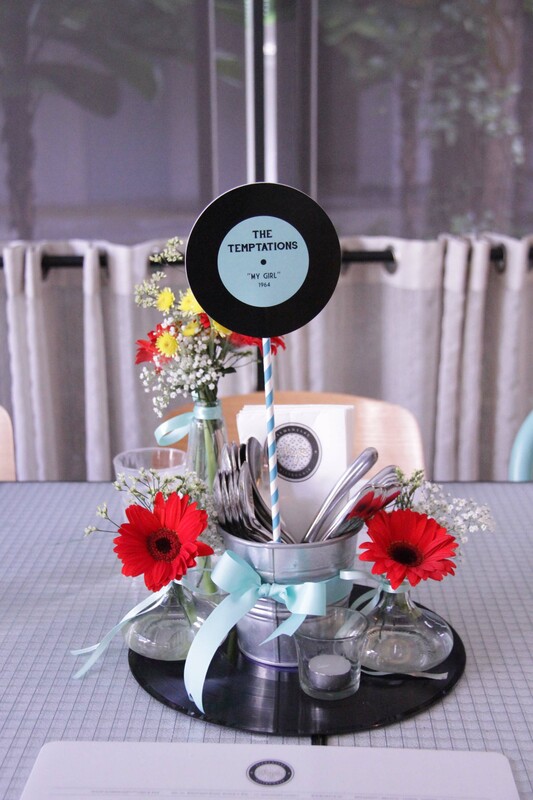 Not to mentioned the cute vinyl table number. 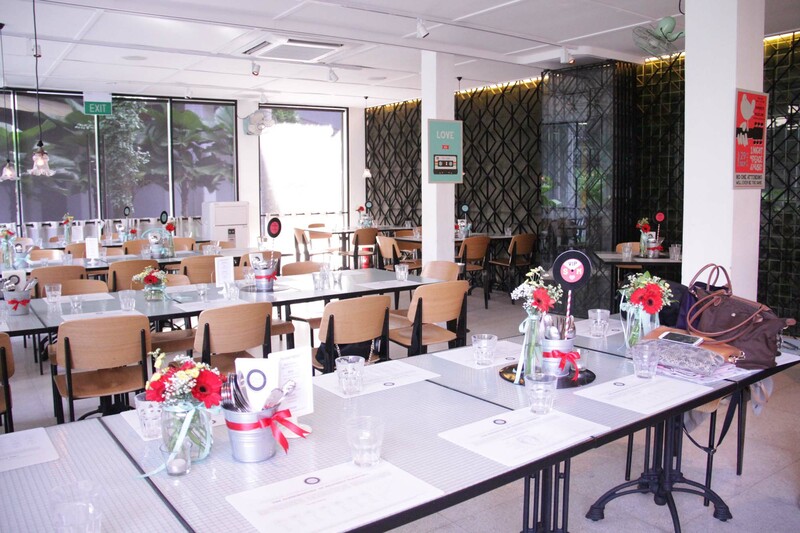 The venue itself, Skyve Elementary Bistro is a special place for the couple as it is their favorite hang out cafe. 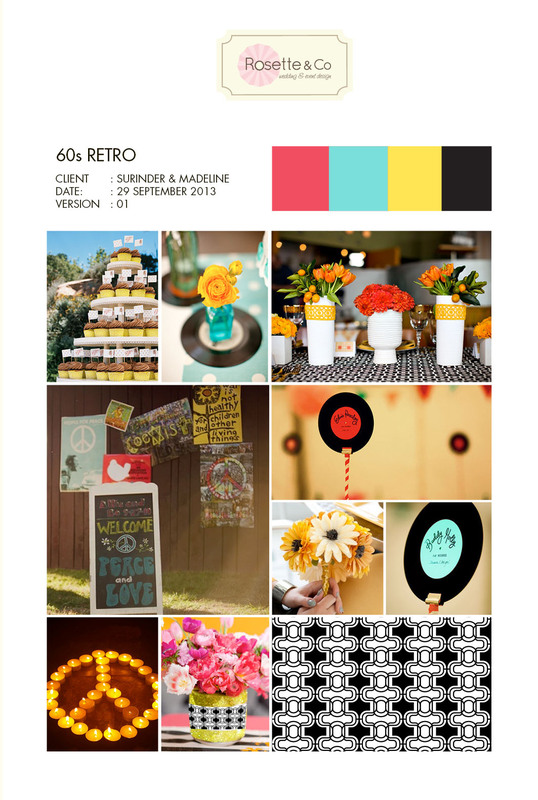 The Eclectic & existing retro ambience, helps bring the best of the theme. We even overhead the manager, after we finished the decoration, said, ” Why can’t we have retro theme for all our wedding, it’s just for this place!” Can’t agree more. Enjoy the process and the actual wedding! Everything starts with a moodboard. 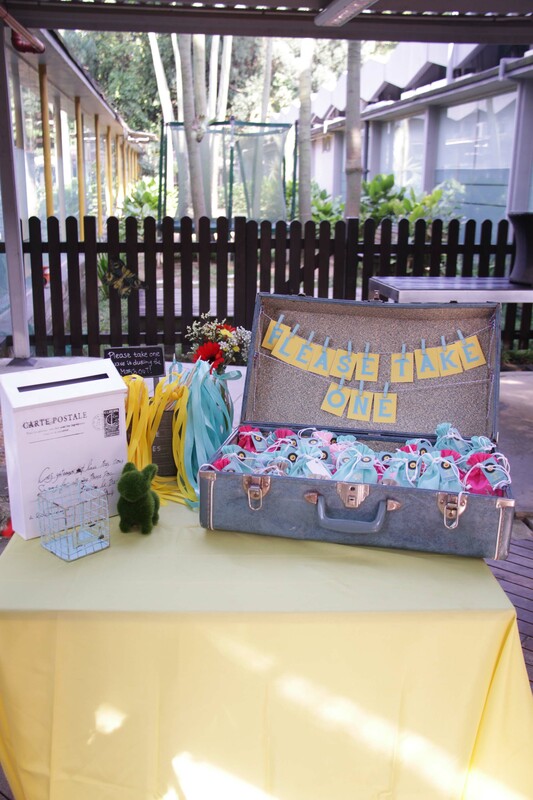 Reception table with ribbon wand, angbao box and vintage luggage to house the wedding favor. 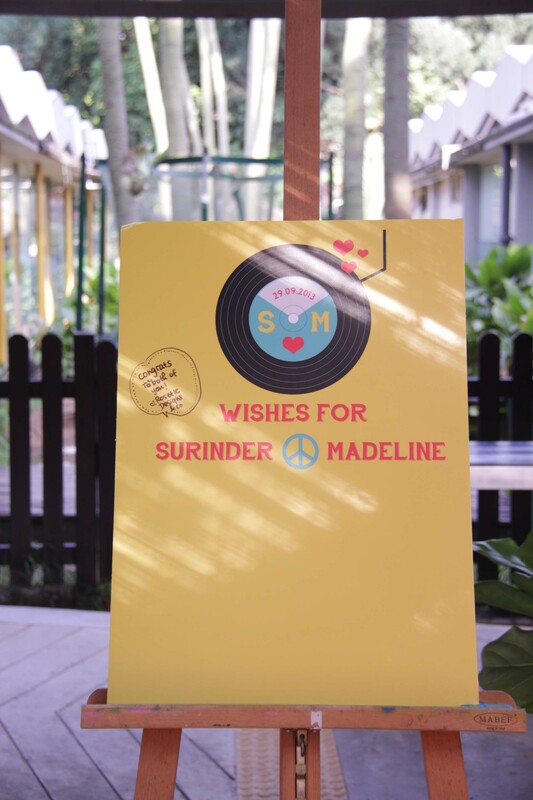 Creative guest signing that doubles as a keepsake for the couple. Every corner worth decorating including this metal shelves. For more pictures, please visit our Facebook page here and check out their pictures here.